Granted there are a lot of cute clutches out there but how often does that adorable evening clutch pull double duty as a day handbag? That’s one of the reasons I love the No Strings Clutch (novel name right?) by Rebecca Minkoff, and apparently so does Hayden Panettiere. 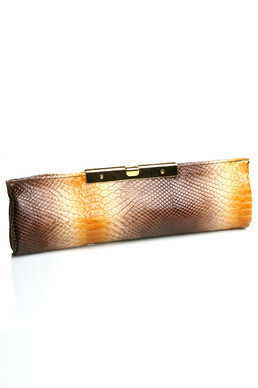 Metallic clutches are just as hot this season as the last. 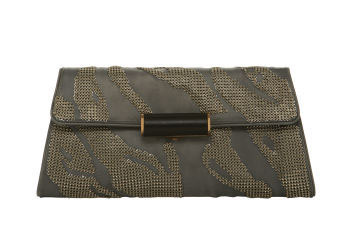 This satin and mesh BCBG clutch is so of the moment it’s perfect for special events or after work cocktails.